Restoration: The process of repairing or renovating a building, work of art, etc., so as to restore it to its original condition or to a particular time - "the period of significance"
Pierson, Sefton Co., Jersey City, NJ. During construction, fifty men worked ten hours, six days per week for two years. They were paid $2 per day. Martin House Complex - model. Bottom: Martin House ... Top: Barton House ... Far left: Carriage House - demolished. 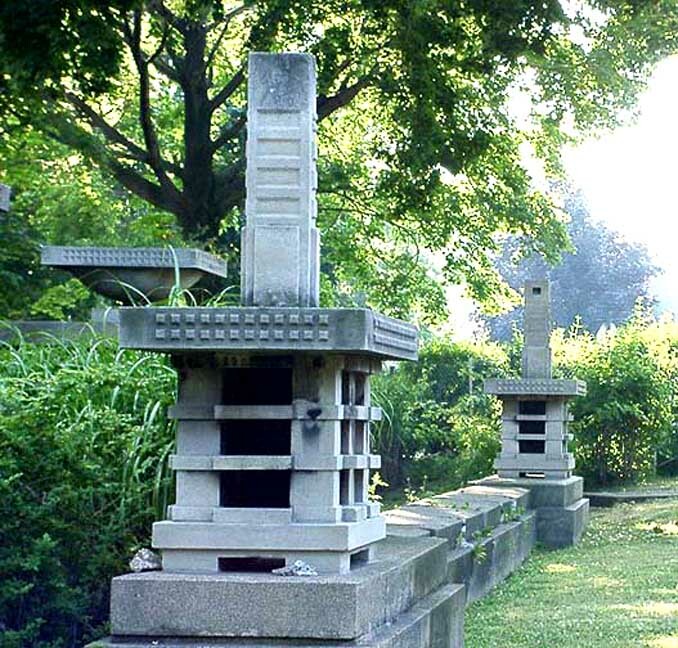 Scheduled for reconstruction by the Martin House Restoration Corporation ... Middle: Pergola and Conservatory, both demolished, but which are also scheduled for reconstruction. Architect's drawing: south facade (Jewett Ave.) ... The two-story house, 150 feet by 72 feet, has an open plan in the shape of a Latin cross. 2001 photo. - South façade (Jewett Ave.). The south façade gives no indication as to the location of the main entrance (the dark area in the center of the photo) ... 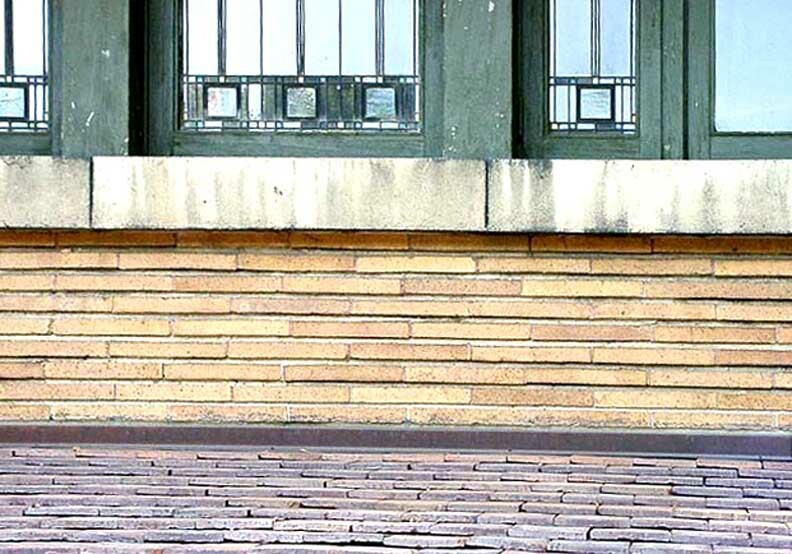 The Roman brick wall acts as a screen. 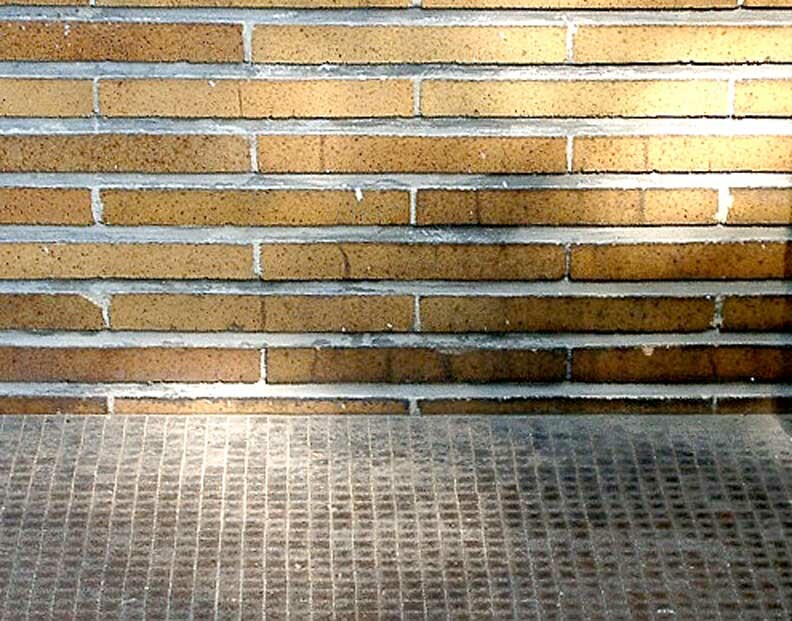 The brick wall was originally all one level. 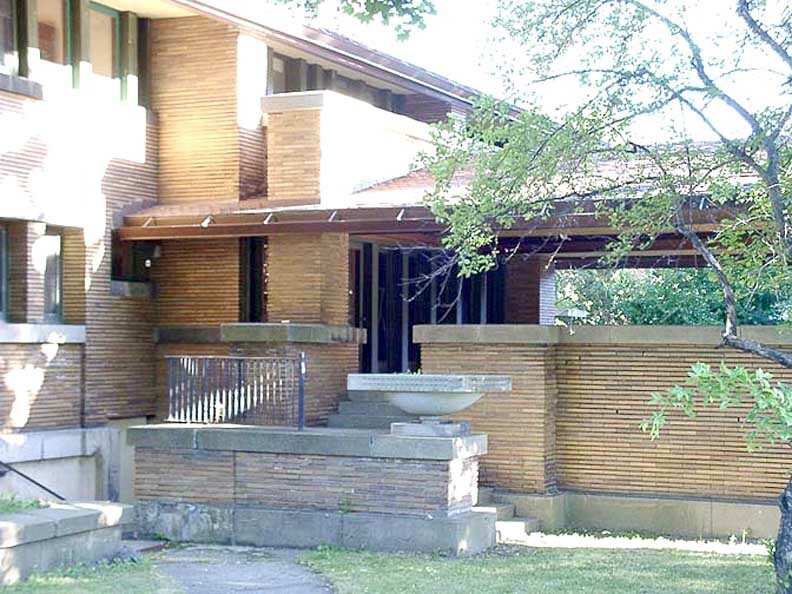 The concrete capstone gave the impression of one continuous band across the house. The wall is currently two levels due to deterioration in the brick over time. 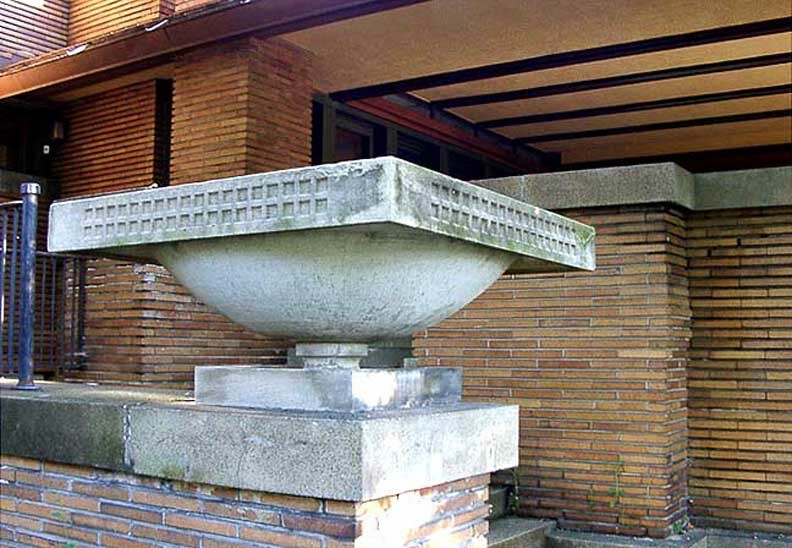 To further obscure the front entrance there was an urn placed strategically on the wall. 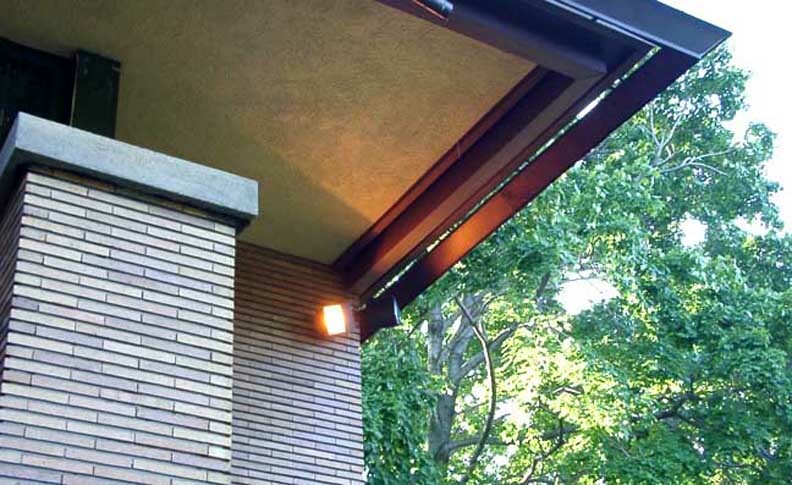 Screened main entry on south façade - typical Wright ... All entrances are approached by walkways and concrete steps ... All walkways are contained beneath the overhanging eaves. 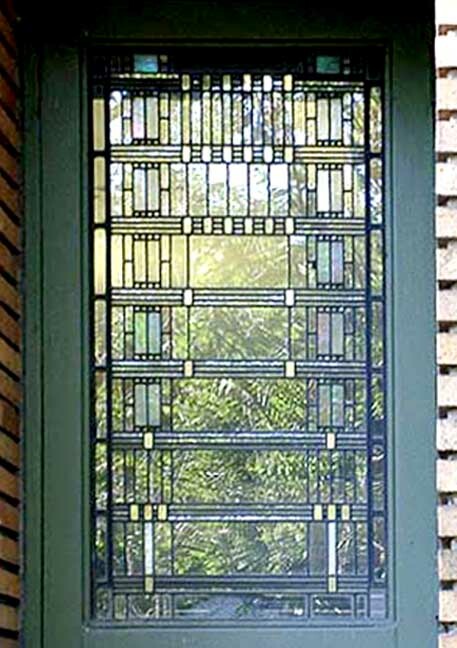 The stained glass windows or "art glass" were integral to this complex. 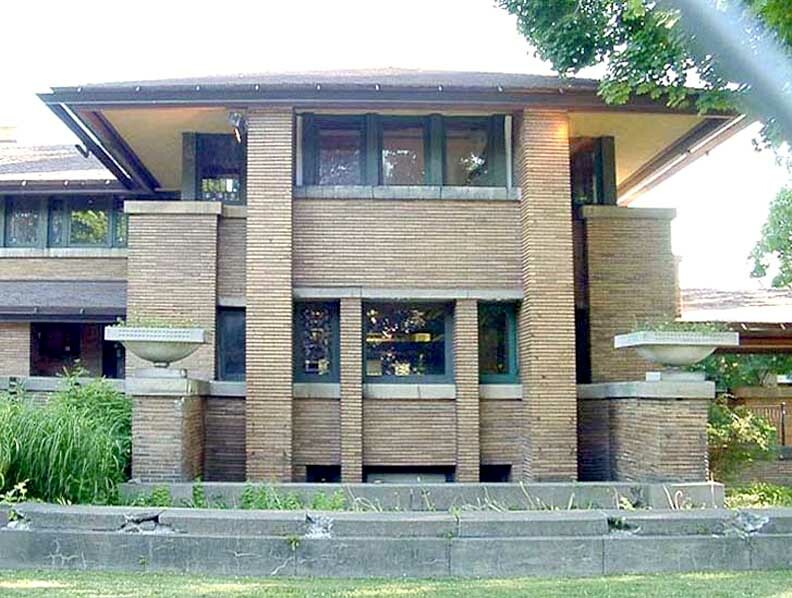 The lines of these windows are ruler straight, a design element embraced by Wright as he thought curves were representative of decadent decoration. 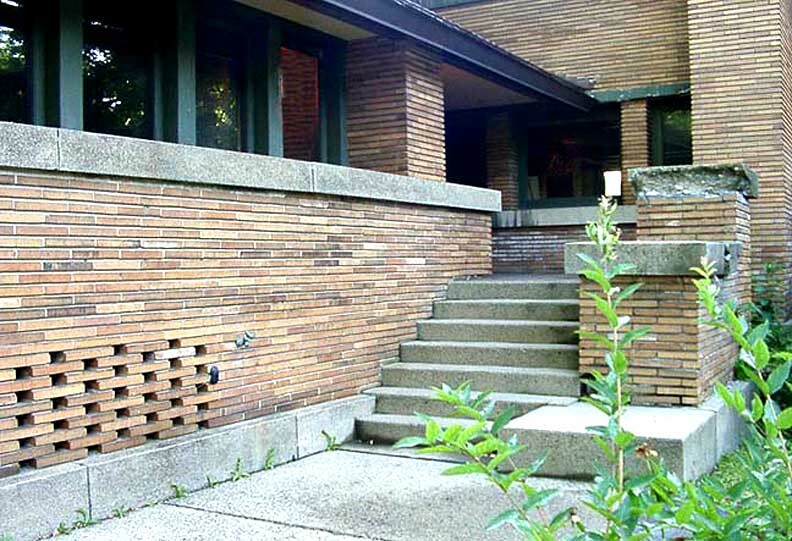 Wright called his windows "light screens" and considered them part of the walls, not merely holes in the walls. 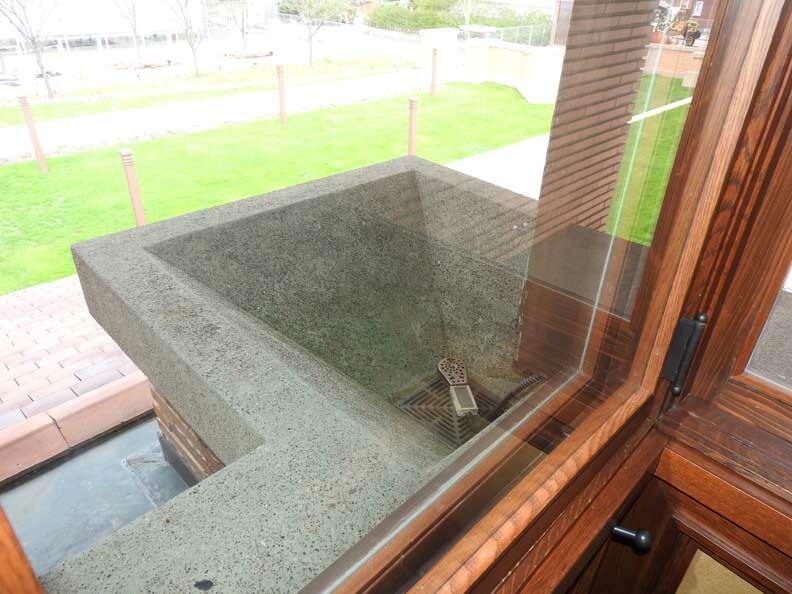 The windows were used to create textural changes within the rooms and to control the eye and shape its vision. 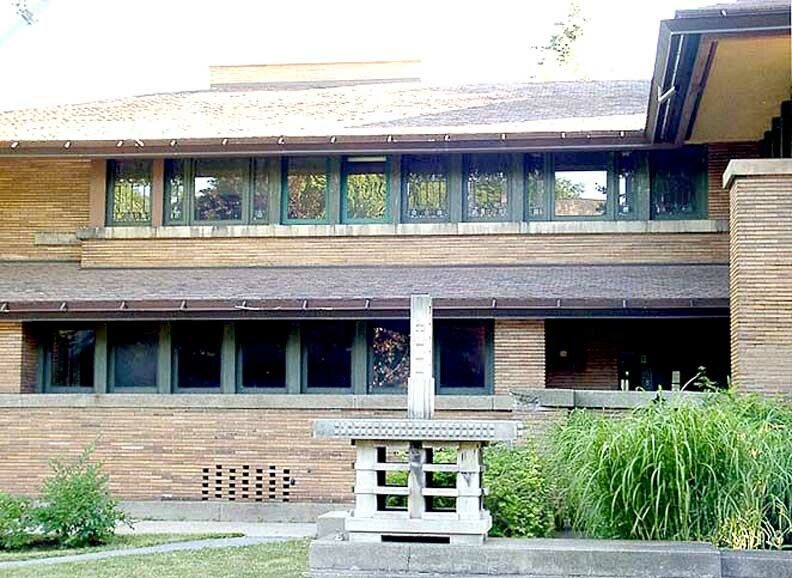 In Wrightian homes windows were used to create subdued illumination or a "moonlight effect". Colors and stains were carefully chosen to emit more or less light and Wright often used opaque or iridescent glass for variety and interest. 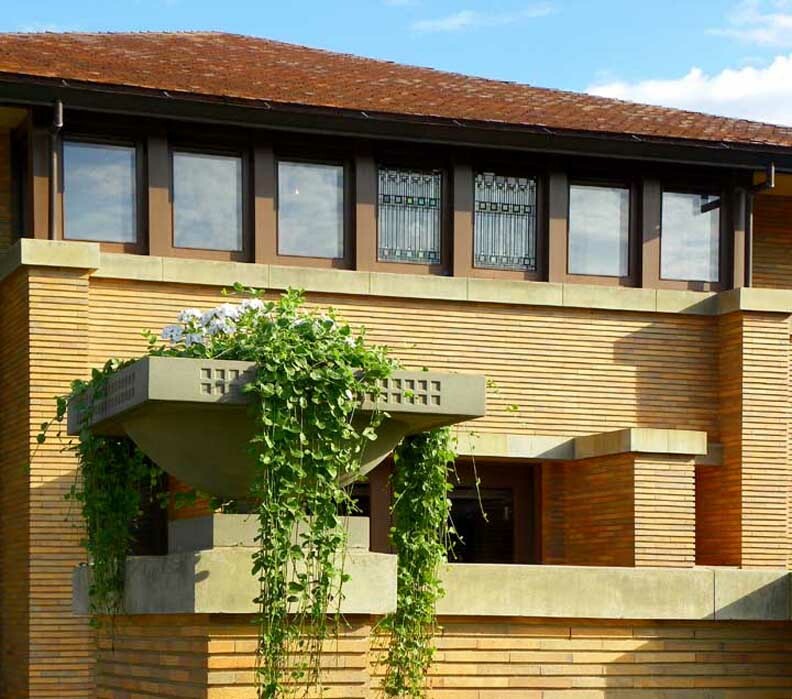 Above all Wright believed his windows were an integral part of his overall design and were meant to be appreciated as works of art and most definitely not to be covered with heavy draperies. Pedestal urn ... 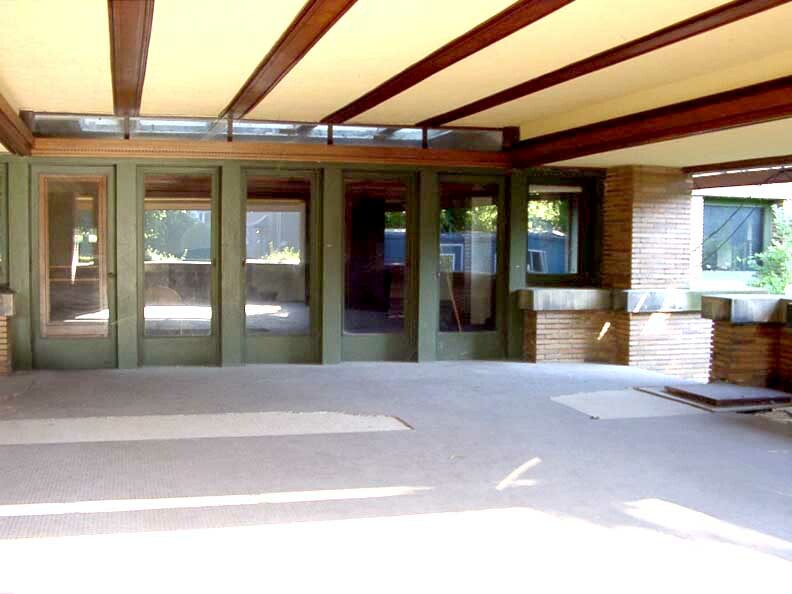 Screened entry to the verandah - typical Wright. Concrete steps to verandah ... Horizontal steel beams help support the hipped roof. 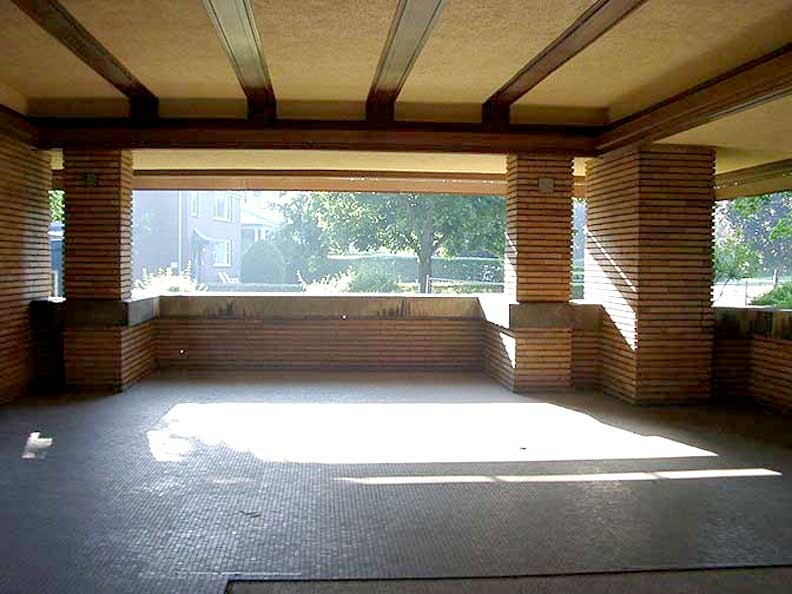 Right: Verandah ... Note 5' wide cantilevered overhanging eaves in upper left. 2011 photo - East elevation. 2012 photo - East elevation. 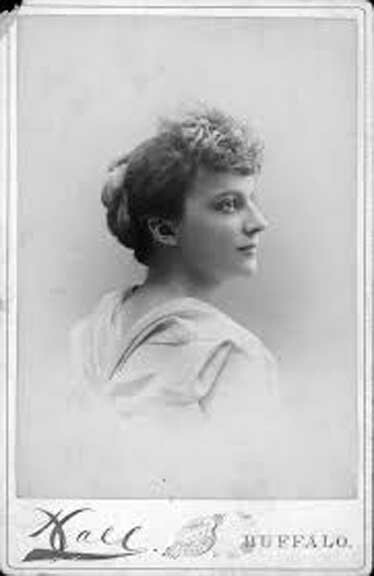 Darwin Denice (pronounced de NICE) Martin was born in Bouckville, New York in 1865. Following the tragic death of his mother in 1871, he endured a lonely childhood, finally going to work at the age of 13 as a "soap slinger" for the Larkin Company. 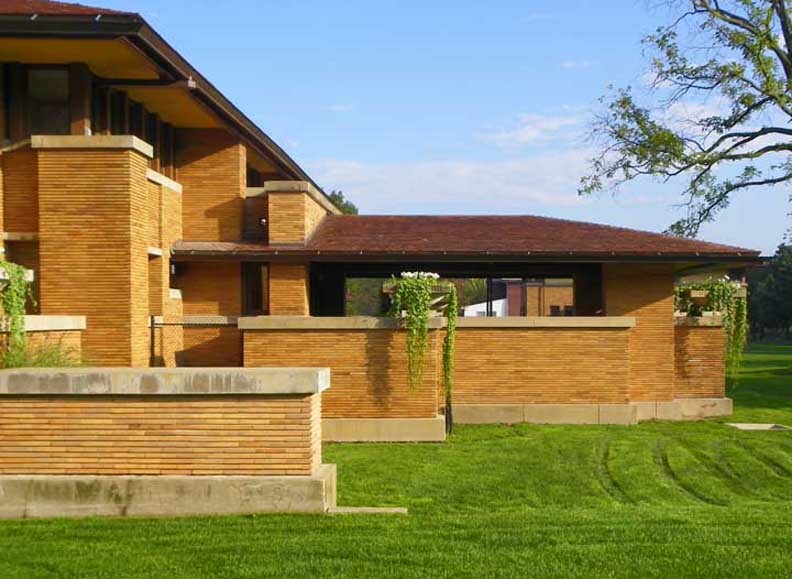 It was this separation from his mother and siblings that determined his goal to build a complex of houses where his remaining family might reassemble. 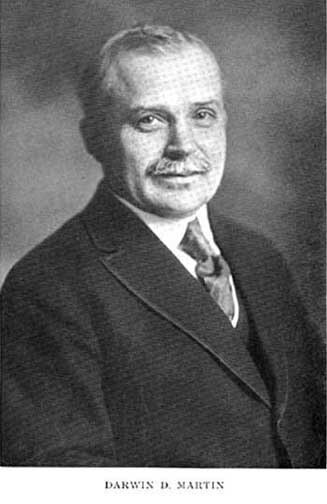 Darwin was the only high-ranking executive in the Larkin Soap Company who was not related in any way to the Larkin family. He had been with the company since 1879, when Larkin trained the 13-year-old to be the company's first bookkeeper. His success came as the result of hard work and his invention of a card file system of accounting which revolutionized the business. 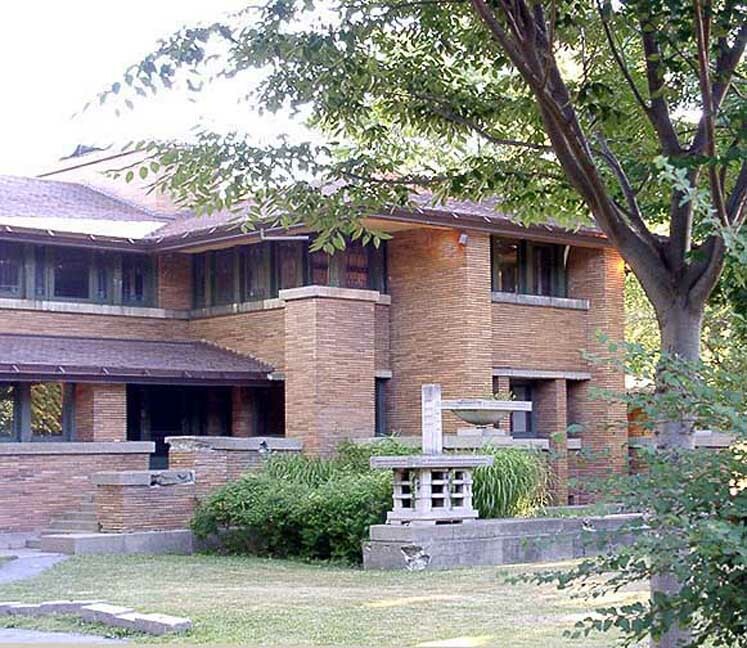 William Heath, John Larkin's brother-in-law brought from Chicago to head up the company law division, is the person who told Darwin Martin about Frank Lloyd Wright and encouraged Darwin to seek out Wright's work in Oak Park. 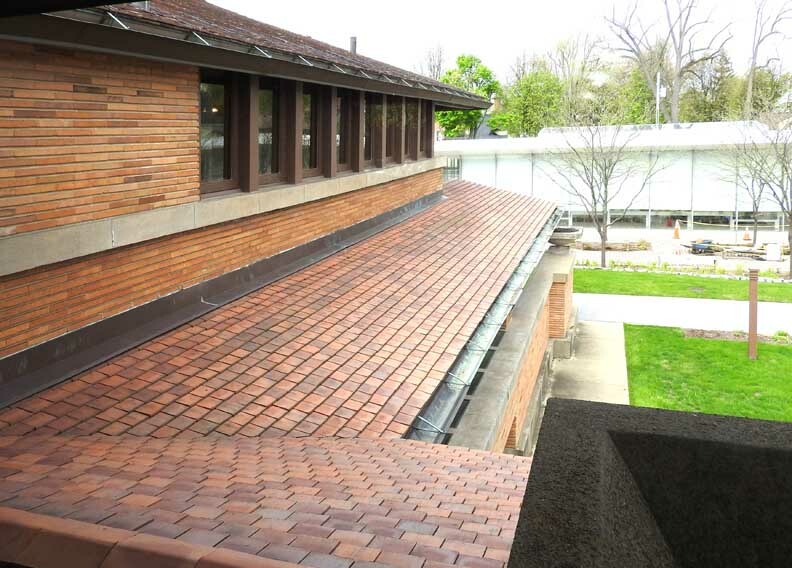 Heath had a brother working construction for Wright in Oak Park. 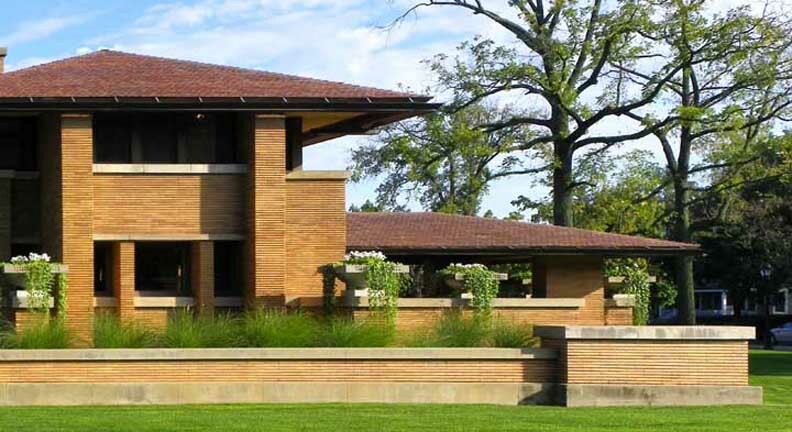 Darwin Martin convinced his brother, William Martin, who wanted to build a new house on the lake shore in Chicago, to go with him to Oak Park to see the work of Frank Lloyd Wright. 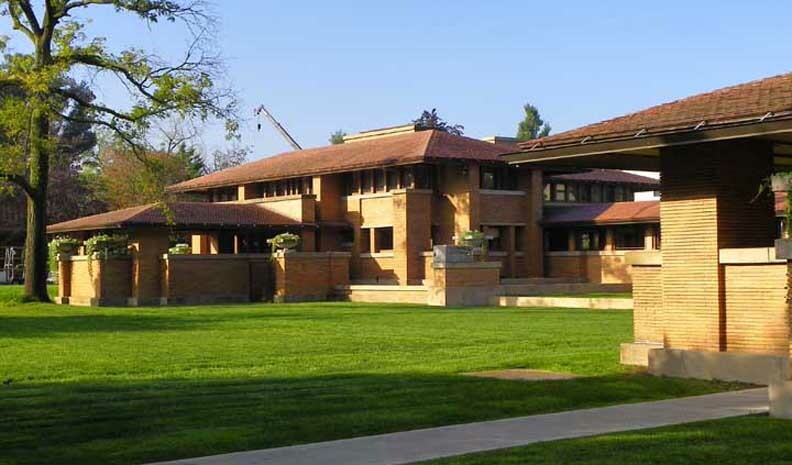 In 1902, William commissioned Wright to design a house for his family in Oak Park. 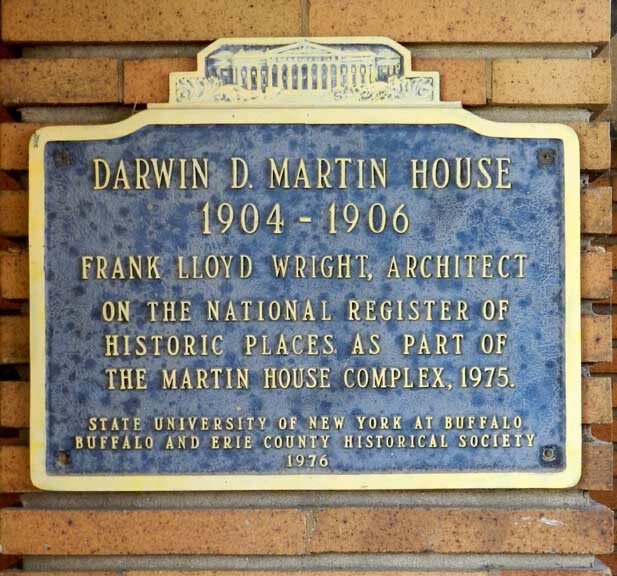 Martin brought Wright to Buffalo in November 1902 to look at a lot on Oakland Place that Martin owned. 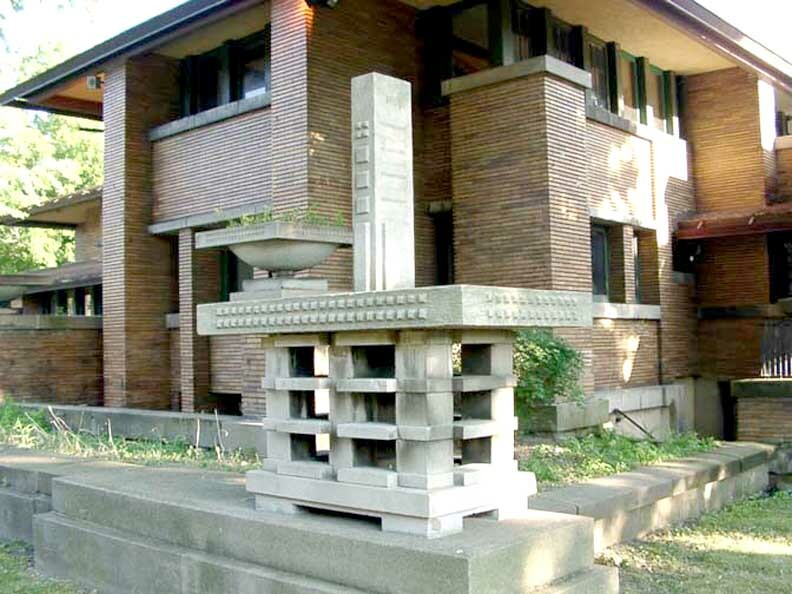 Wright convinced Martin to purchase the property at Jewett and Summit and the Barton House was started. The decision to build a new Larkin Co. administration building was first made in 1902. John Larkin was interested in Louis Sullivan as the architect. 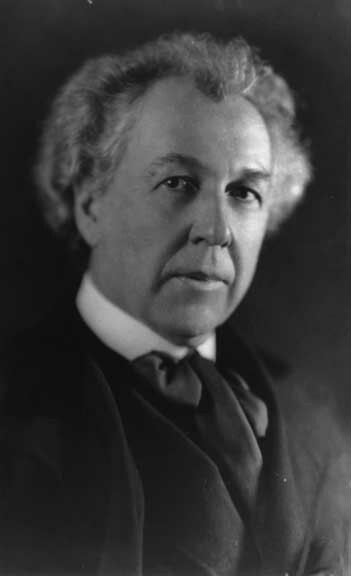 Martin was instrumental in getting Wright the Larkin commission, as well. The Martins employed a full-time gardener who had to provide fresh flowers daily from the greenhouse behind the gardener's cottage for every room in the main house, a task which he assiduously accomplished until his employer died in 1935. 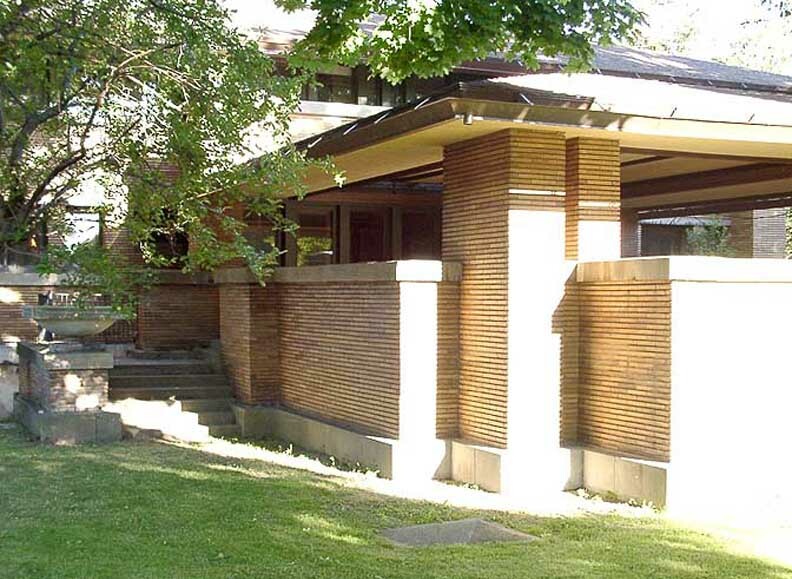 Martin had Wright design a house for him at 285 Woodward Ave. 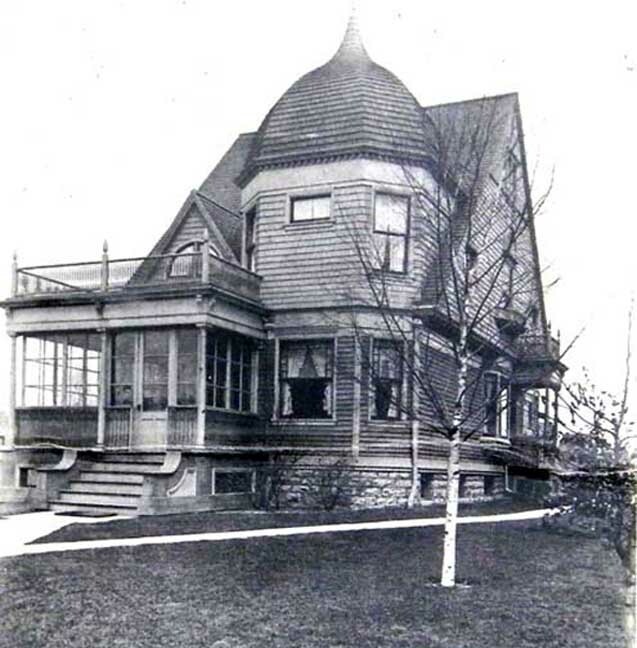 Still another Larkin Company top manager, Walter V. Davidson, decided to have a home at 57 Tillinghast Place done by Wright in 1908. 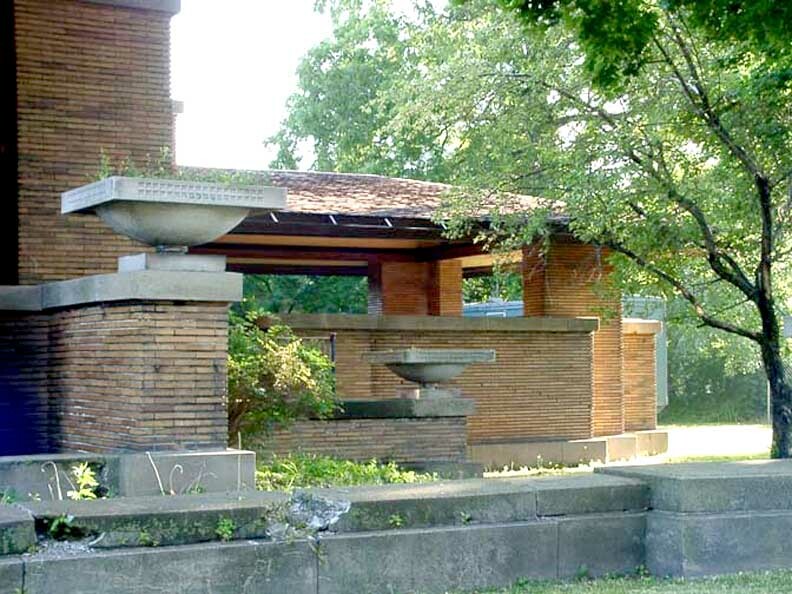 Completing Wright's architectural contributions to the Buffalo landscape was the summer house, Graycliff, that he designed for Darwin Martin at Derby on the south shore of Lake Erie in 1927. 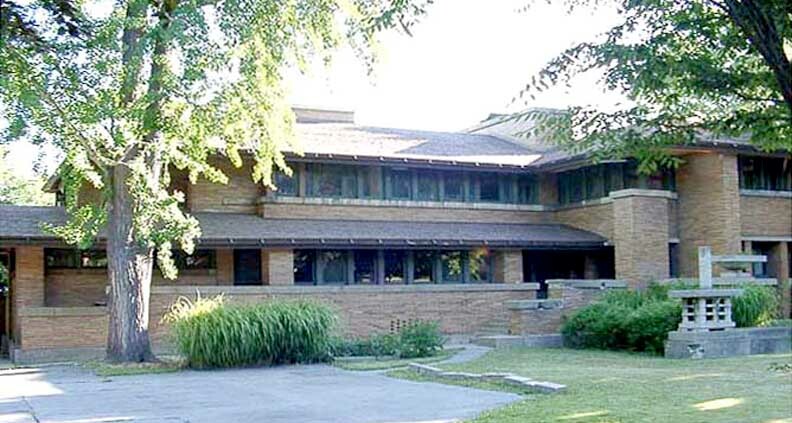 The Martin House was distinguished from most of Wright's other Prairie style houses by its unusually large size and open plan. 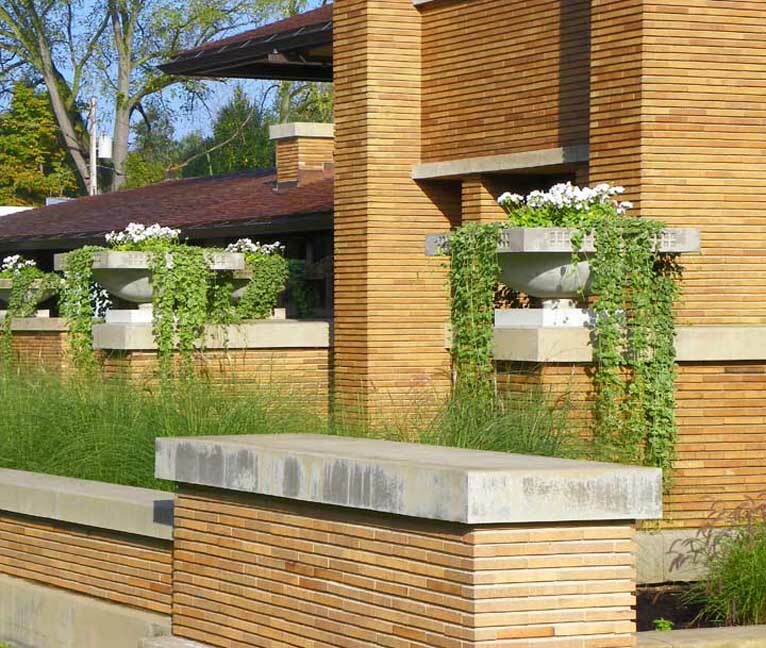 It is said that Wright was given a virtually unlimited budget for this commission. Today, after periods of neglect and vandalism, the Martin house is partially restored, although the conservatory, pergola, and carriage house have been demolished. 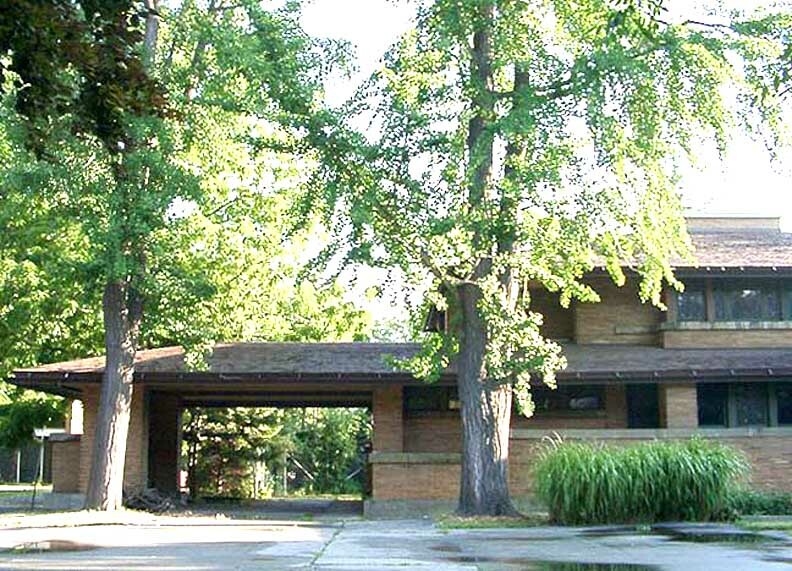 In 1954, the Martin house was subdivided into two apartments and an owner's residence, and so remained until its purchase in 1966 by the State University of New York at Buffalo. It has served as the residence for the university president, as well as headquarters for the Alumni Association and the repository for the university archives. 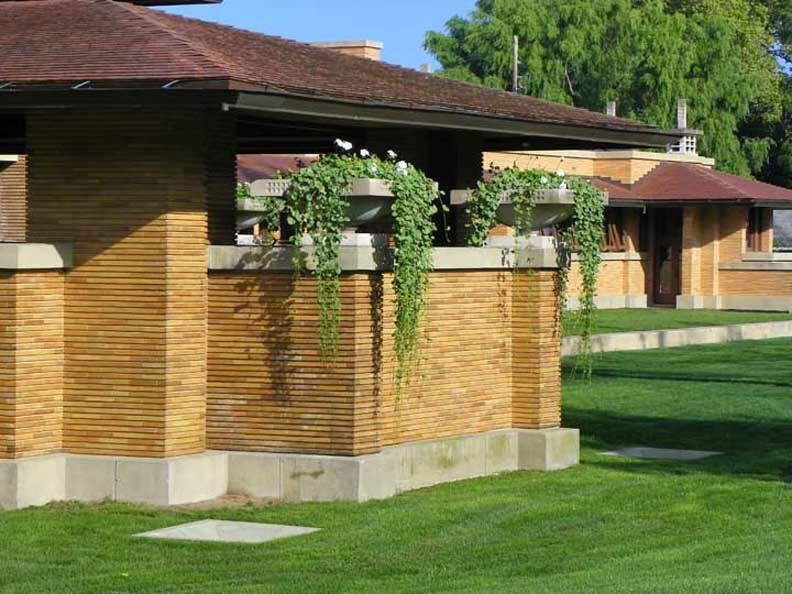 Presently, in 2001, the Martin and Barton houses are open as a museum and the entire Martin complex will be restored to 1907 for about $23 million. Fourteen data pages prepared by Susan R. Slade in Library of Congress All American Memory SOME RESEARCH IS OUTDATED.